It was of course a great pleasure to do the Minutes To Go, Years Apart event with artist Liliane Lijn at the October Gallery, as part of the programme of talks and performances that accompany their excellent current exhibition, William S. Burroughs—Can you all hear me? (which runs until 7 February, and is well worth a visit before it closes). I wish there were more events like it. Liliane and Sarah at October Gallery. Liliane performed readings from her epic, feminist prose poem Crossing Map, as well as from unpublished earlier drafts of Crossing Map, when it had been a significantly less autobiographical prose work, a science fiction novel in typed manuscript, which had had the working title of Time Zone. Sarah Nicol-Seldon of Resonance 104.4FM was manipulating some incredible voice effects and delay on Liliane’s voice during the Crossing Map readings. I read the opening chapter from my satirical 1999 police novel CHARLIEUNCLENORFOLKTANGO, which with its policeman narrator’s incessantly prurient and circular self-justification and its violent imagery sets the tone for the rest of the novel. This opening chapter had originally been written as a short story, and was designed to work as a live reading as well as on the page. It is of course a kind of Burroughsian ‘routine’, playing power and its contradictions for laughs. 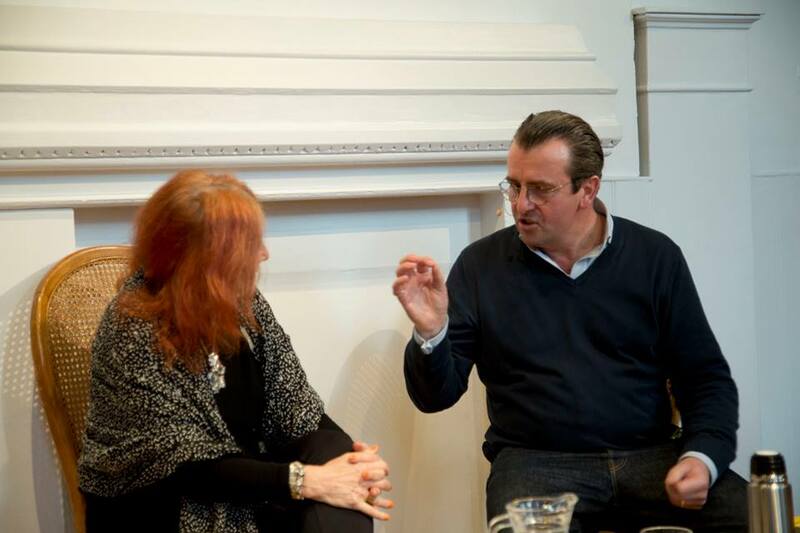 We talked about Liliane’s early 1960s meetings with Burroughs, and about science fiction, cut-ups and collaboration. My second reading was A Porky Prime Cut, which I performed with an incredible musical accompaniment from Richard Norris of The Grid. 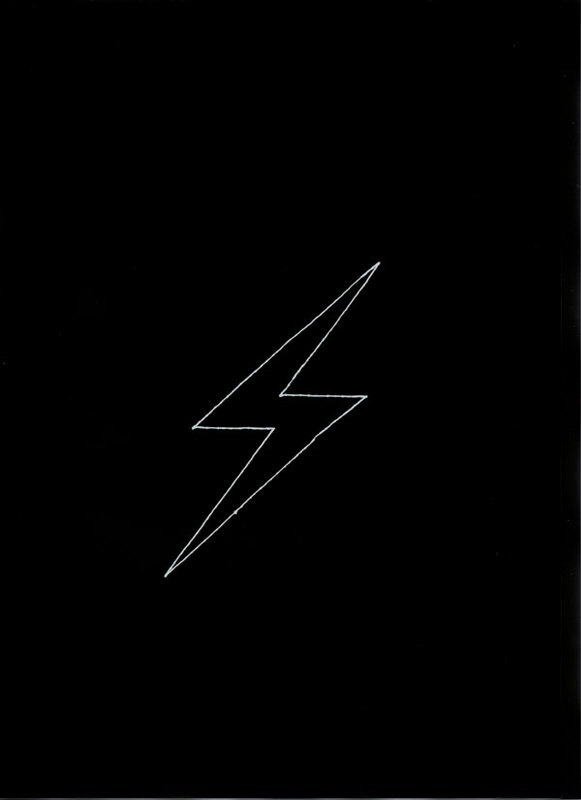 A Porky Prime Cut is a kind of shaggy dog story about acid house, art school and a war of attrition between Throbbing Gristle fans and Soul Boys in early 1980s Bournemouth and Poole, so performing it with Richard — who is a true UK acid house pioneer — seems to bring the whole story full circle. We have performed A Porky Prime Cut once before, for the Free University of Glastonbury in 2011, and there is a studio version of it on my SoundCloud, but hearing it live is the thing. Even though I was concentrating on giving my reading, I was aware of the incredible soundscapes that Richard was mixing live across the composition. There was a very responsive audience at the October Gallery for our event, and chatting to people over a glass of wine afterwards there was great feedback, including for our considered emphasis on readings. Increasingly the default position at many literary events and festivals is towards panel conversations, to discussions about literature, or more usually, about common denominator issues that may or may not unite a number of authors (and/or, ideally, it would seem, faces from TV). Liliane and I decided to go the other way, and to tip the balance of the event towards readings, to the literature itself. 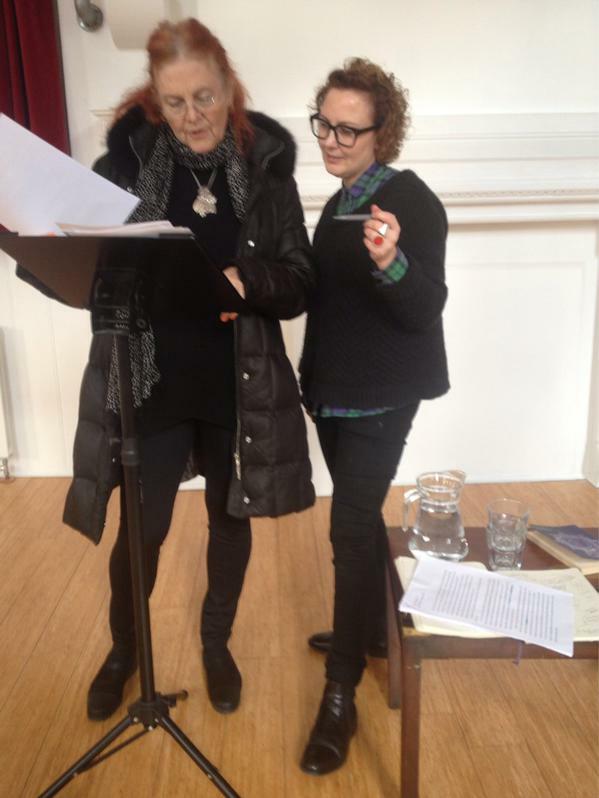 It is interesting to note that when most of the material that Liliane and I were reading from is either no longer or (in the case of Time Zone) was never available in print, one is drawn back to another kind of primary encounter: performance. 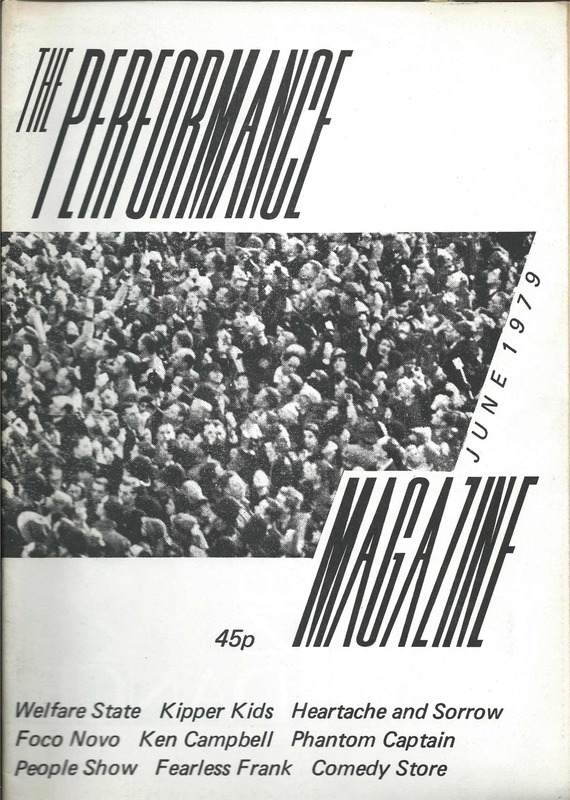 Cover of the first issue of Performance Magazine. The event might have been called ‘Minutes To Go…’, but then all of a sudden the event has happened, and it’s gone. I am reminded of the old line about the only people a performance exists for (and I’m talking about ‘performance art’ here) being the ones who are there. Performance Magazine founder Rob La Frenais used to add to this, saying, IIRC, that there were three kinds of audience for a performance: the ones who were there, the ones who read about it, and the ones who only hear some inevitably garbled version of what happened. Apologies to Rob as I have almost certainly misremembered his formulation, but I think we can now add a further audience: those who hear a good audio recording. Luckily for us, Sarah Nicol-Seldon took a line off the mixing desk, so the gig was recorded, and the life of some otherwise fleeting aspects of the event can be extended. Swedish radio came along and recorded it, too. Much of my reading from CHARLIEUNCLENORFOLKTANGO might need to be bleeped out for broadcast in the UK, but Swedish radio said it won’t be a problem. 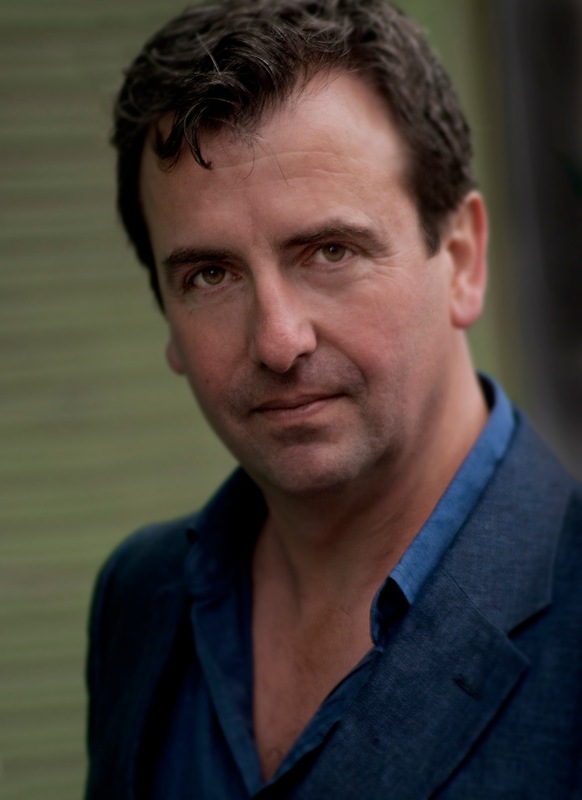 Subscribe to my irregular newsletter for invites and news about forthcoming books and events. Tagged with A Porky Prime Cut, Acid House, art school, Beyond the Wizard's Sleeve, Bournemouth and Poole, Burroughs, Burroughsian, charlieunclenorfolktango, Crossing Map, Free University of Glastonbury, Glastonbury festival, Liliane Lijn, october gallery, Performance Magazine, Psychic TV, Resonance 104.4 fm, Richard Norris, Rob La Frenais, routines, Sarah Nicol-Seldon, Soul Boys, The Grid, Throbbing Gristle, Time Zones, Tony White, William S. Burroughs, william s. burroughs: Can You All Hear Me?